Many of the best diving spots are not accessible from land. They can only be reached by boat. But diving from the boat requires special knowledge. 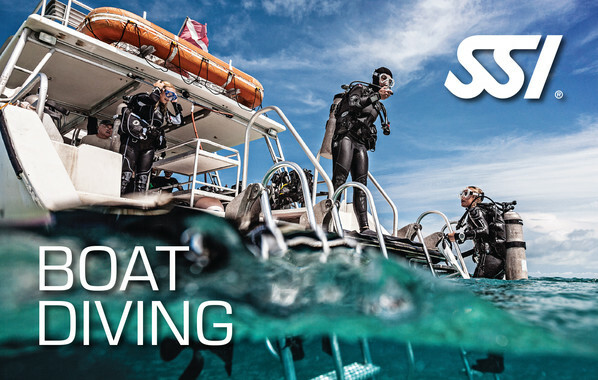 The SSI course “Boat Diving” teaches you how to safely get underwater from the boat. You can, of course, get the theory part of the certificate here via eLearning. This is how you decide when and where you will get the necessary theory! Prerequisite for participation in the course is an existing certificate for the Open Water Diver. The minimum age for participation is 10 years.